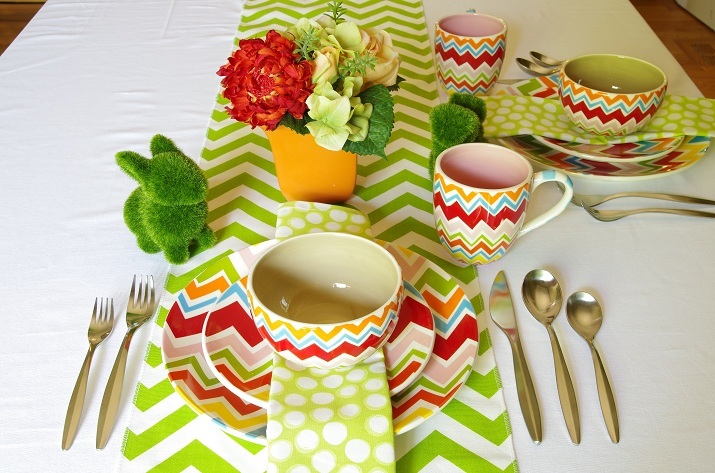 Mix and Chic: A product review and a giveaway- Coton Colors Dinnerware! 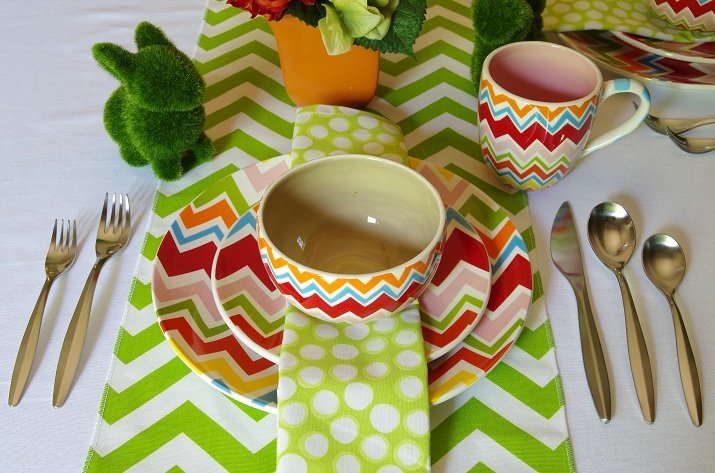 A product review and a giveaway- Coton Colors Dinnerware! I bet you already know that I have a love for all things chic and colorful! So when Coton Colors contacted me if I would love to do a product review for their products, of course I said yes! 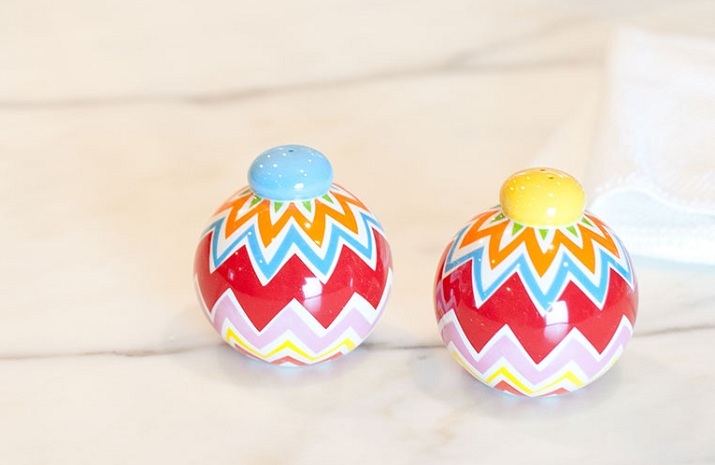 Coton Colors is a manufacturer of colorful, handcrafted pottery, creative giftware and seasonal pieces inspired by the celebrations of life. With its unique, chic sophistication and fun personalized designs, Coton Colors products are some of the most coveted pieces for discerning hostesses and original gift seekers across the nation. Now let's take a look at some of my favorite Coton Colors products, shall we? 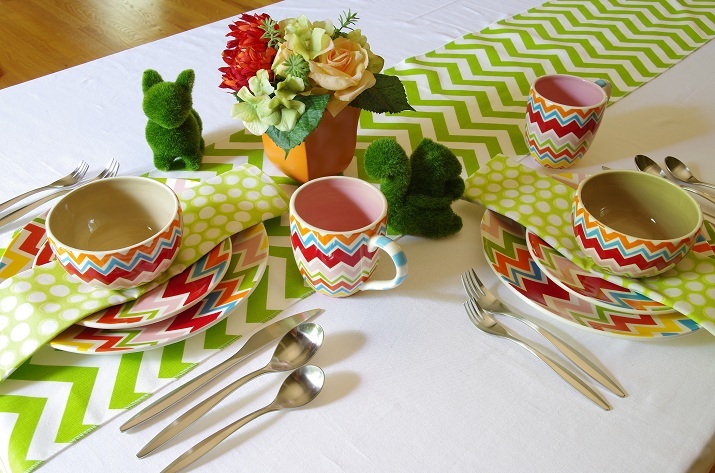 While browsing Coton Color's products, I came across a special feature named "Swap Tableware: Design Your Table" on their website. Before I knew it, I was happily mixing and swapping dinnerware on their website for the next hour or so. 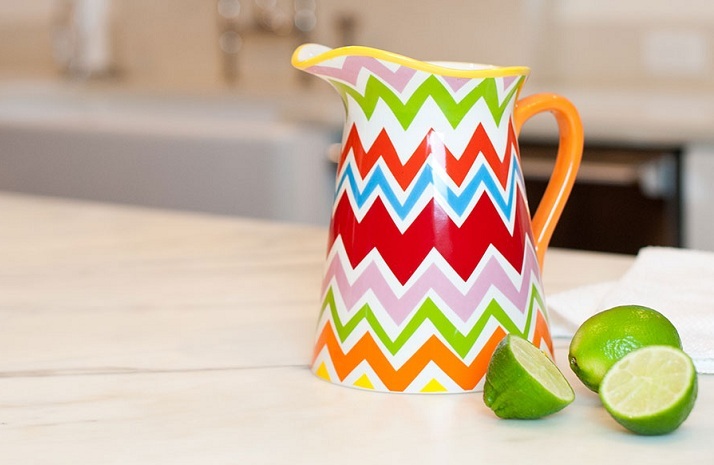 Without a doubt, mixing dinnerware is one of the latest trend in entertaining. Personally, I love this trend because you can express your personal style and creativity through setting your own table. 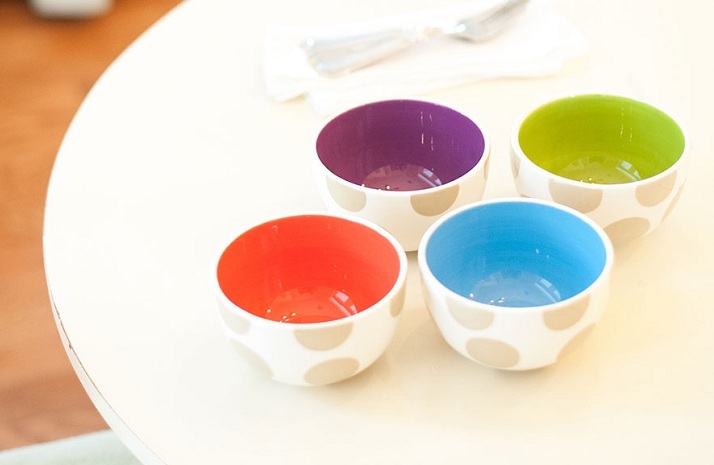 And Coton Colors Swap Tabletop Dinnerware lets you play mix and match to create a tabletop that you like. 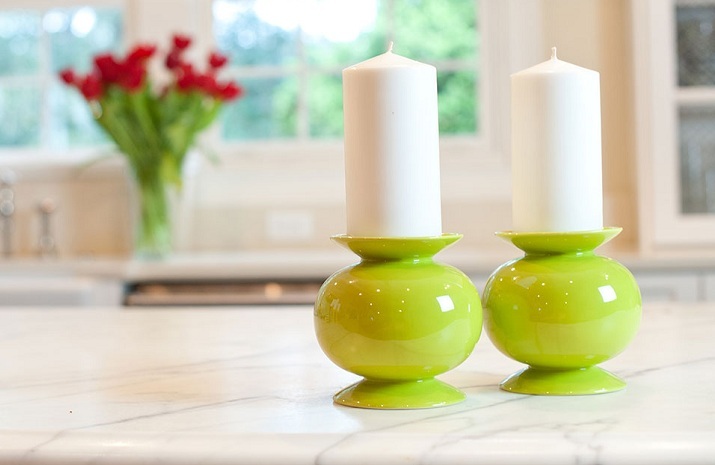 When it comes to mixing and matching dinnerware, it is always a good idea to have a preview before deciding on what to purchase. You can create your own unique tabletop here. For this review, I have received two Bargello Mix Dinner Plate ($29.95 each), two Bargello Mix Salad Plate ($19.95 each) two Bargello Mix Bowl ($17.95 each), two Cobble Ruffle Plate ($19.95 each), 3 Bargello Mix Mug ($17.95 each) and Punchy Green Dot Napkin (Set of 4) ($32.95). 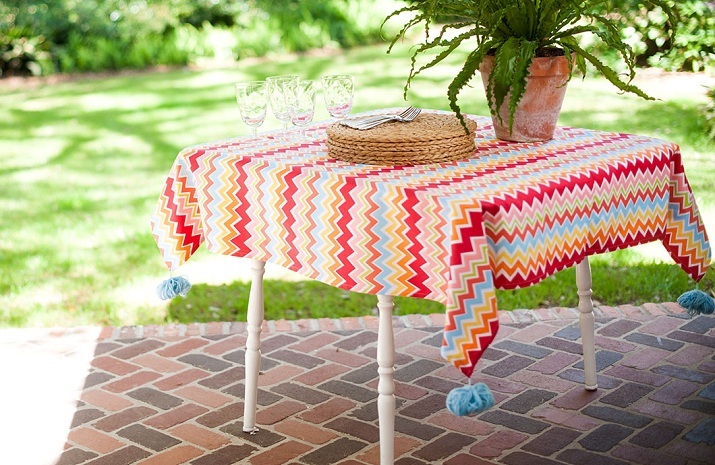 Here is how I styled my table by using the fabulous products I received from Coton Colors. To give my tabletop a layered look, I started by setting my table with a simple white cotton tablecloth and a green chevron table runner. Since the Bargello product line has a fun and playful pattern, I decided to add my own whimsical touch by adding a moss bunny and moss squirrel to the mix. To finish the look, I added a faux silk plant to complement my design. A close up of my Bargello Mix Dinnerware. 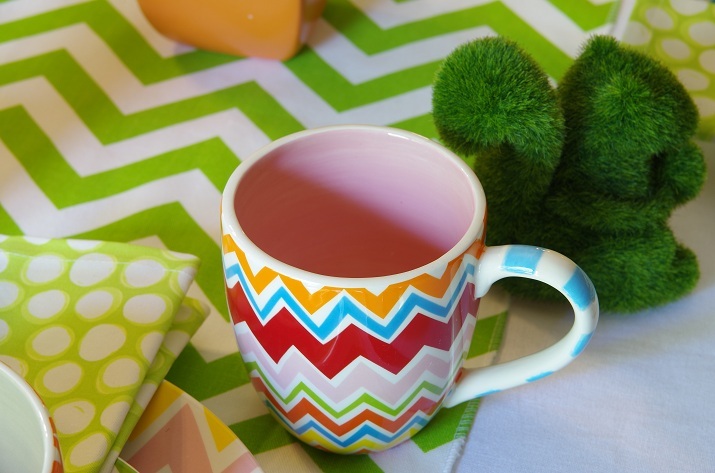 A close up of the Bargello Mix Mug. A full view of my table setting. Changing things up by using my Cobble Ruffle Plate. A close up of the Cobble Ruffle Plate. What do you think of my table setting? Do you prefer the original set of Bargello dinnerware together or the one that I swap with the Cobble Ruffle Plate? I can't tell you how much I love my Coton Colors products! 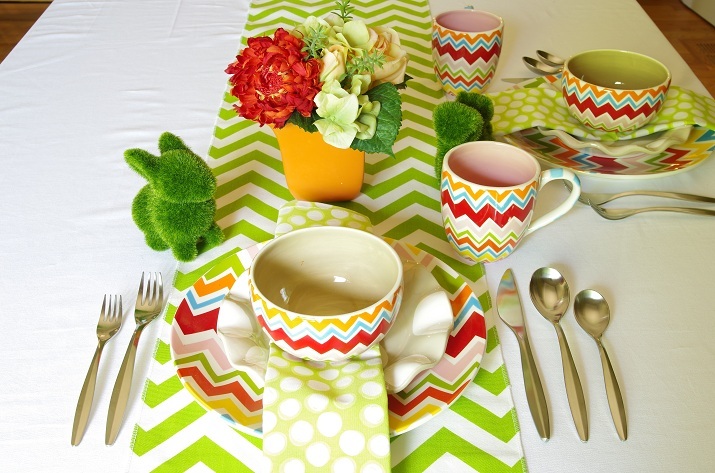 The dinnerware are gorgeous and the colors are so vibrant. 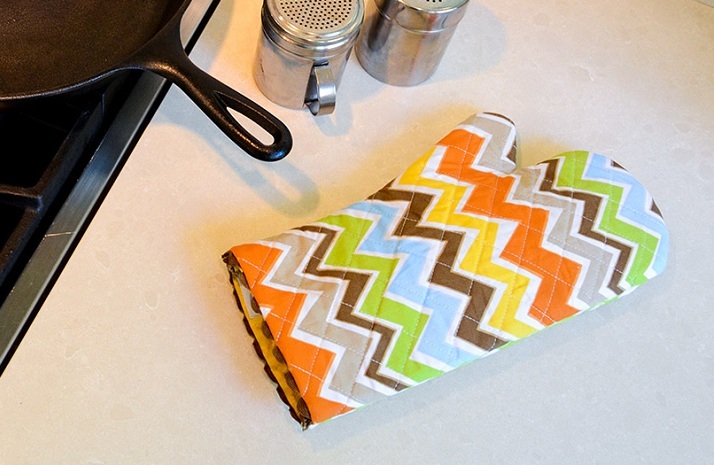 Made in ceramic, the dinnerware are food safe, microwave safe and dishwasher safe. One of the things I noticed quickly when I held the dinnerware was how much thicker and more solid they felt compared to the average dinnerware. Since these are handcrafted products, none of the two same items are exactly alike but I like them for their charm. *I received these products to review for free but the views and opinions expressed are entirely my own. Can you tell that I am a fan of Coton Colors? Are you a fan as well? If you are, then great news because Coton Colors is giving away a $50 gift certificate to one lucky reader! This giveaway is open to US readers only (sorry, my international readers). Must be a follower of Mix And Chic via Google Friend Connect. Must sign up for Coton Colors "special offers" emails on the homepage of the website (located at the top of the page). The last day for entries is July 31, 2013. The winner will be chosen by random.org and announced on Thursday, August 1, 2013. Good luck, everyone! These are so fun! I love these colors and patterns. Thanks for sharing, Jessie! I love the added ruffle plate! I like the mix up better than the whole set. Awesome giveaway! Thanks for sharing with us. I'm already a GFC follower but I just signed up for their special offers e-mail. I also liked their Facebook page and left a comment. SO obsessed with the Chevron Stripes! What a great addition for a garden party!! 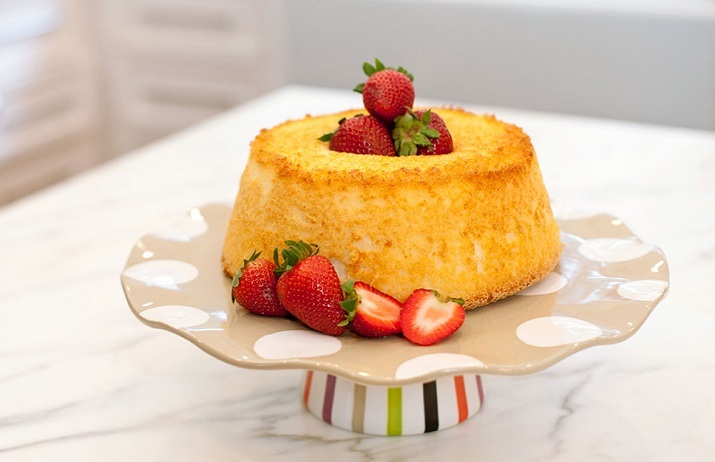 I love the setting with the ruffle plate included! Great giveaway! I am now following via GFC, and signed up for their special offers! I also liked them on Facebook and left a comment. I am now a follower of Mix And Chic via GFC and I just signed up for Coton Colors special offers email. I am now a follower of Mix And Chic via GFC and I just signed up for Coton Colors "special offers" email. I am a GFC follower and have signed up for special offers. 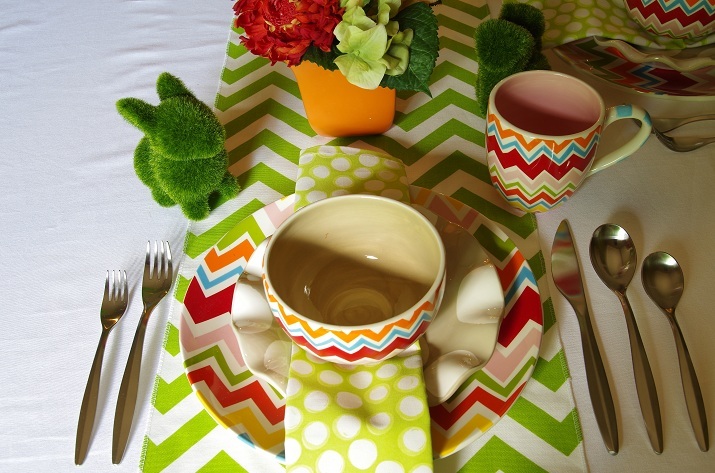 I love your table setting Jessie; it's so bright and fun!! I signed up to get their emailed special offers. I love that you can make setting arrangements on their site!